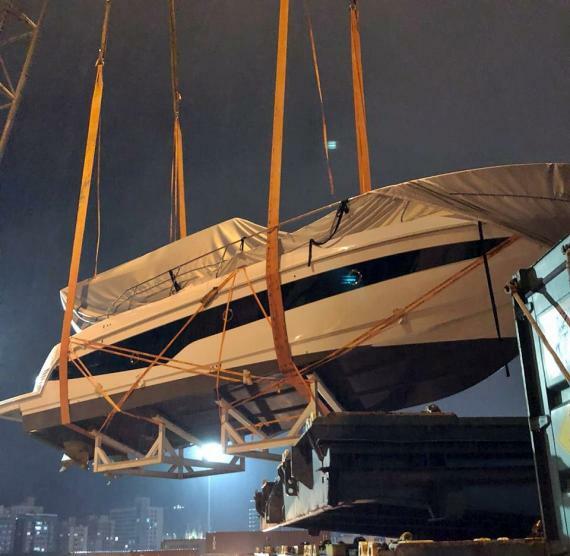 DC Logistics Brasil Ship 51' Yacht to the U.S.A.
Due to the size of the cargo - mainly its height - the cargo was moved from a shipyard to Itajai port by means of a truck designed specifically for the transportation of yachts. 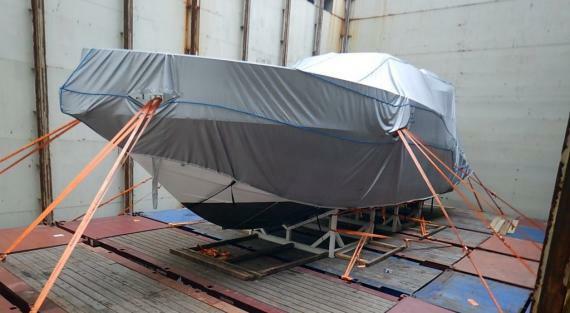 The yacht was then assembled on the cradle at port and customs cleared and loaded the cargo on-board a container vessel. 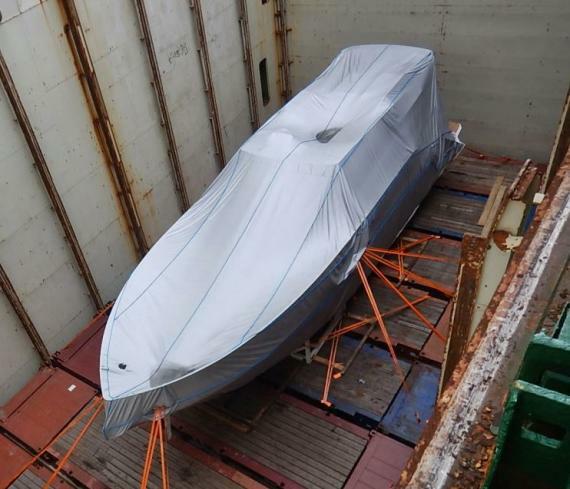 "This is a very competitive way to ship break bulk cargo on a liner vessel, instead of paying an inducement for a break bulk vessel, which is much more expensive as there’s no regular route."